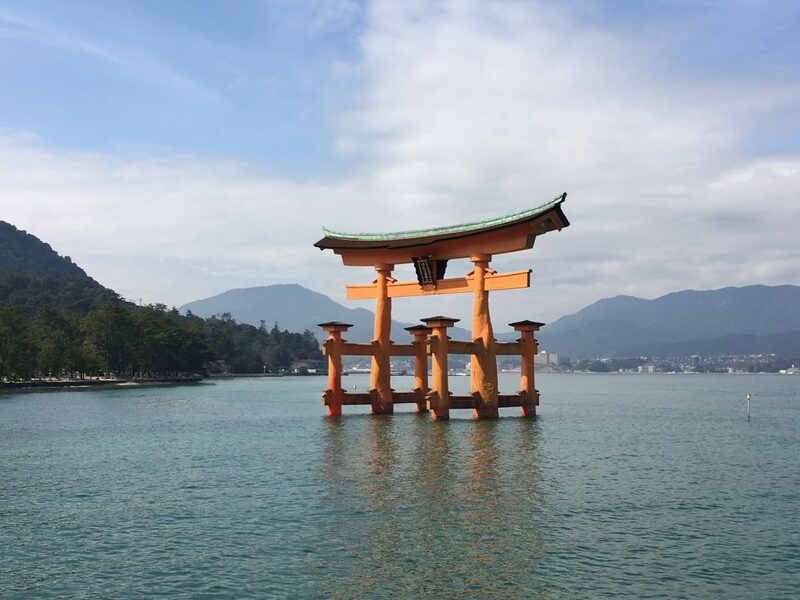 Some shrines in Japan are famous for the benefit of safe baby delivery. 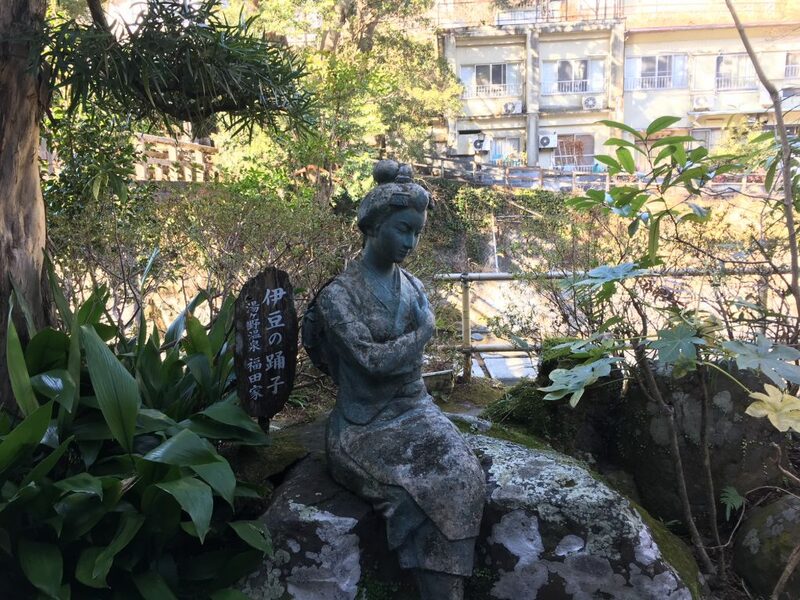 Since ancient time many pregnant women have been visiting such a shrine at the dog day (in the twelve signs of Chinese zodiac) within their 5th month of pregnancy for safe delivery. 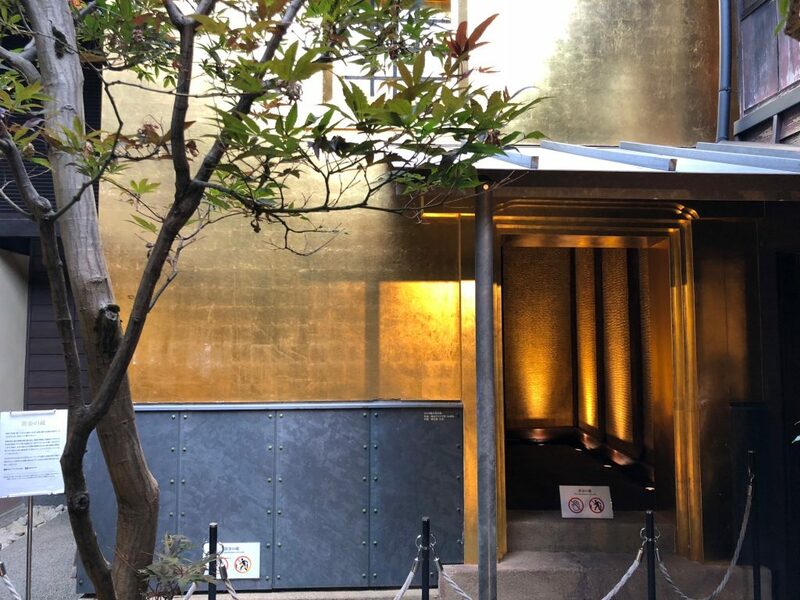 In Tokyo Suitengu shrine is a shrine famous for such a benefit. 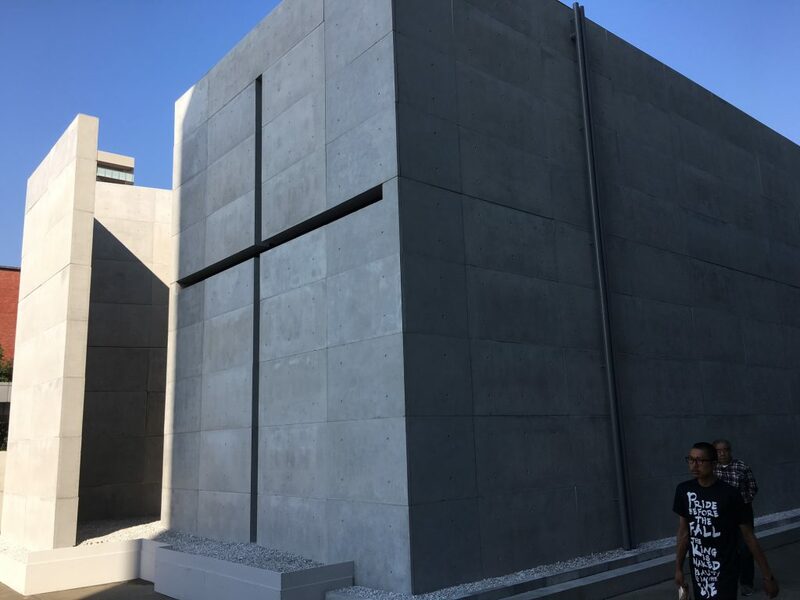 Unlike other shrines the shrine is covered with concrete walls. So it perfectly fits with surrounding urban environment. 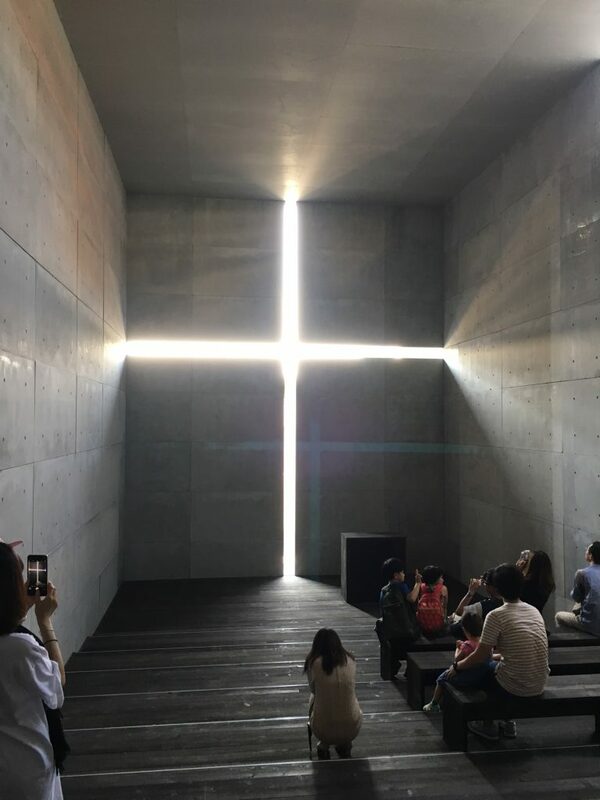 Even though we visited the shrine just after a big typhoon had passed Tokyo with strong wind and rain, there are so many people inside since it was the rare dog day on Sunday. In order to handle so many people in the shrine the procedure to pray is very systematic. After we paid prayer fees, we could wait in the waiting room air-conditioned well. And we could find our turn in the TV screen on the wall. It helped us who came to the shrine in extreme hot summer. The prayer at the dog day is not an only famous stuff in the shrine. 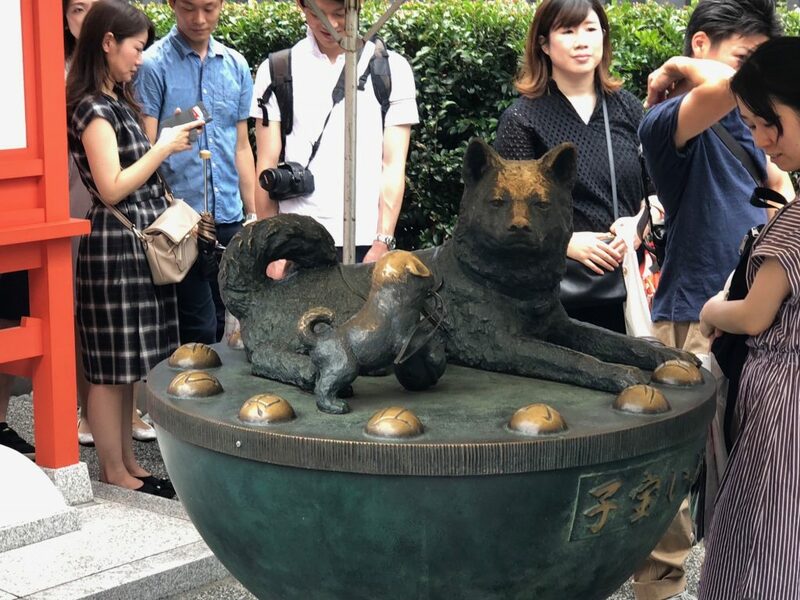 There is also a popular pair of statues of a mother dog and a child dog surrounded by 12 small hemispheres representing the twelves signs of Chinese zodiac. It is said that women may be able to get pregnant when they touch the hemisphere representing their own sign. 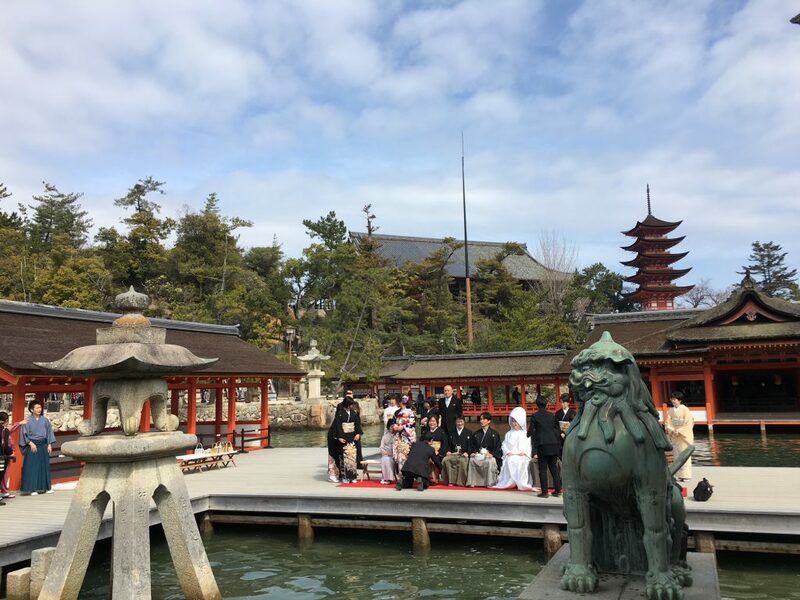 In Japan worldly benefits prayed in shrines still take deep root among ordinary people. The season to climb up summer mountains has come in Japan! And Mt. 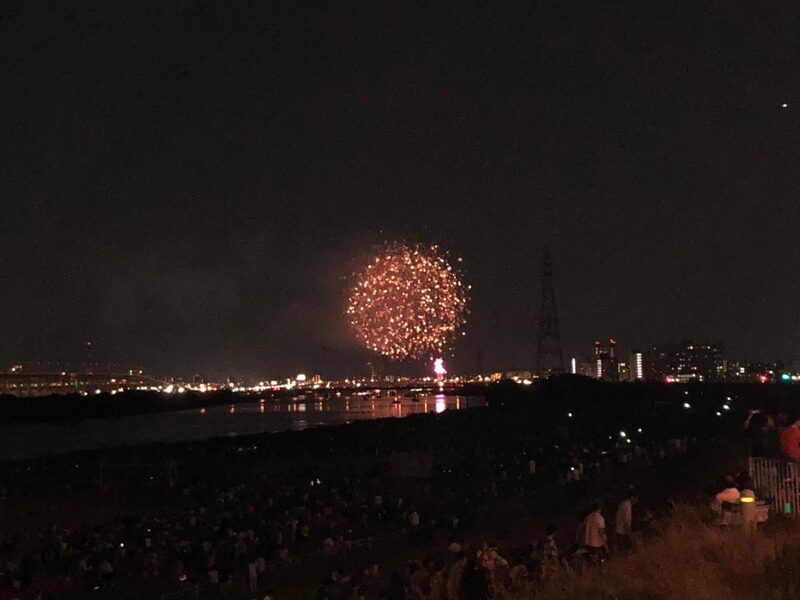 Fuji, highest mountain in Japan (3,776 meters) is filled with so many people this summer as usual. Among 5 trails to the summit of Mt. Fuji, Fuji-Yoshida trail and Fujinomiya trail are two famous trails to both climb up and down. 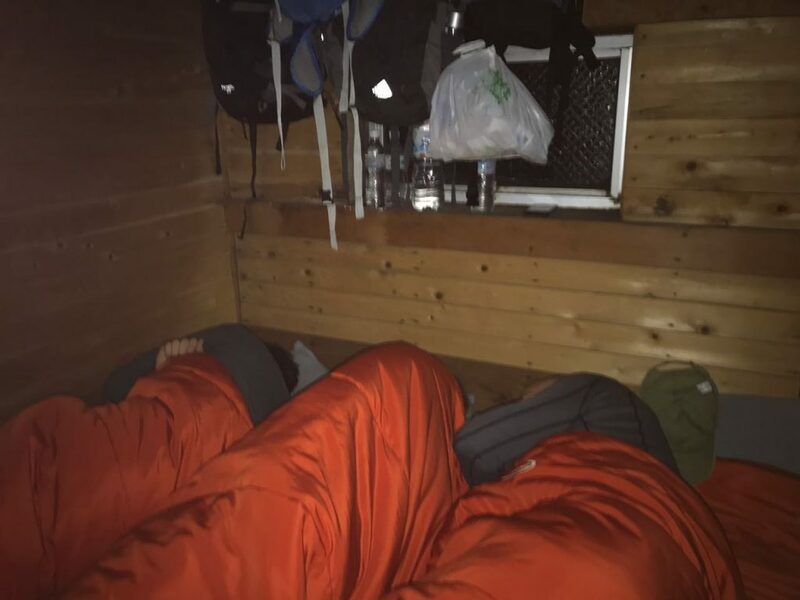 And even though two trails have a lot of mountain huts as well, we need to sleep in very tiny space at night like a photo below. 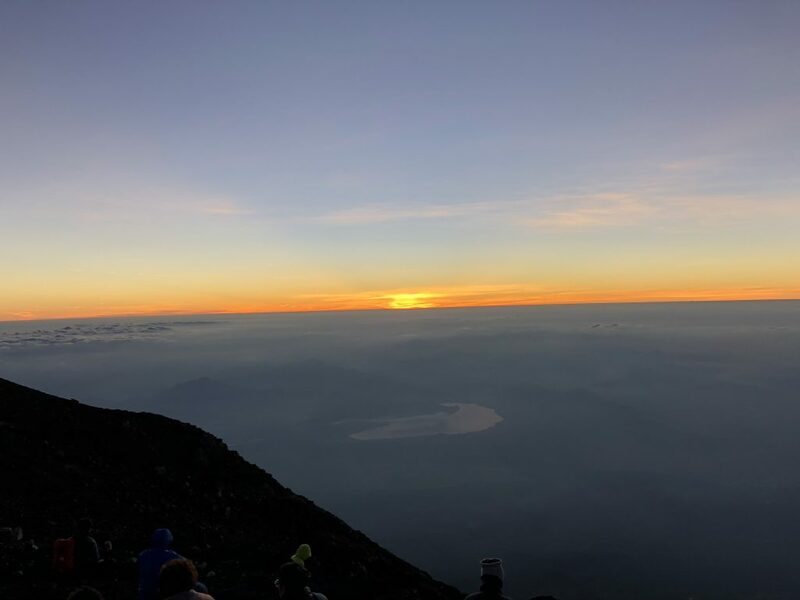 Nevertheless it’s necessary to stay at such a hut and to climb up in midnight and early morning so that you can see beautiful sunrise from the summit. But after the sunrise you may feel it’s not exiting to climb down the same trail pushing many people who are climbing up. 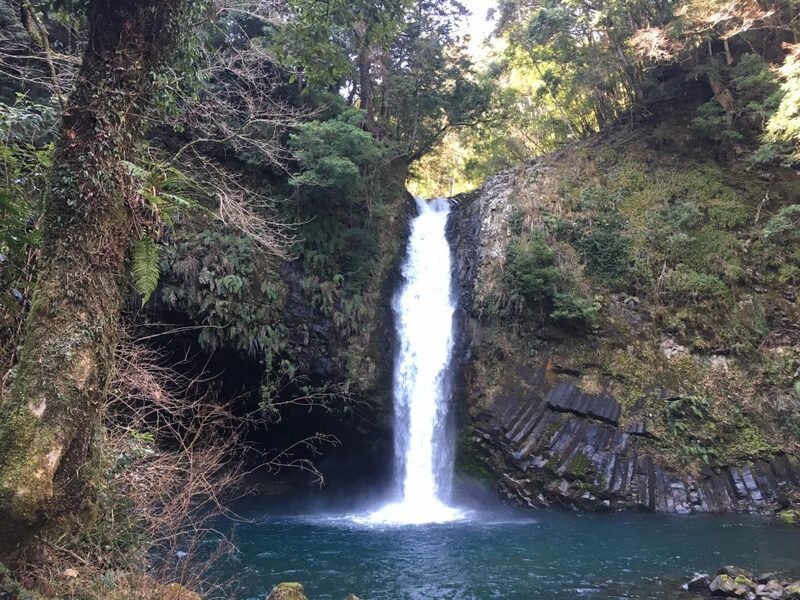 In such a case I recommend you to climb down Gotenba trail. Gtenba trail is the longest trail among 5 trails, so it’s not recommendable for first visitors to climb up. But it’s a big fun to climb down the trail. On the latter half part of the trail you can enjoy literally “run” down the trail. 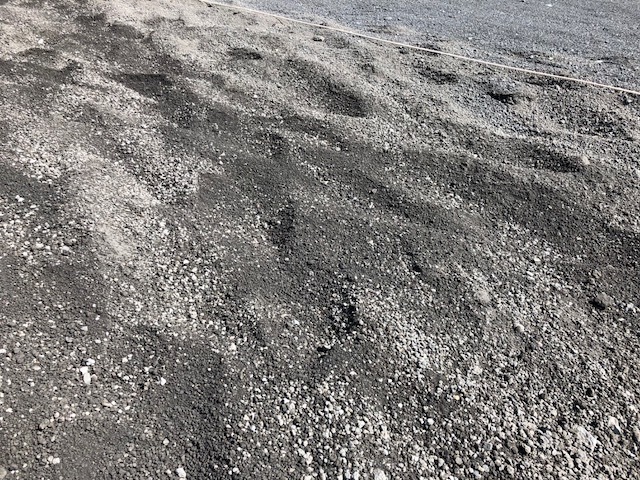 The latter part is called as Osunabashiri meaning in Japanese “run in big sands”. As per the name the trail is filled with deep sands and your legs automatically move down even if you don’t put power on legs. The trail looks as another planet. 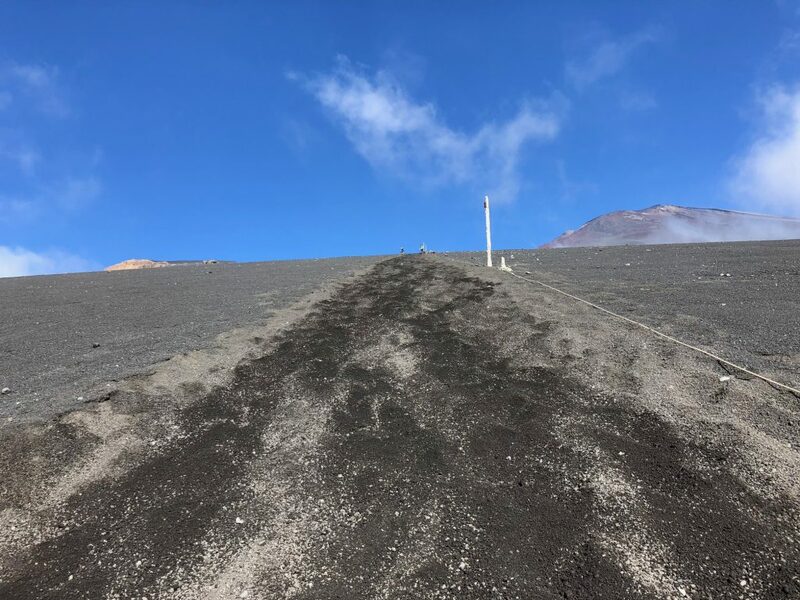 The trail is covered with volcanic ash created on the latest eruption of Mt. Fuji about 300 years ago. The eruption created another smaller mountain called Mt. Hoeizan. More surprisingly Mt. Fuji is the active volcano even today. 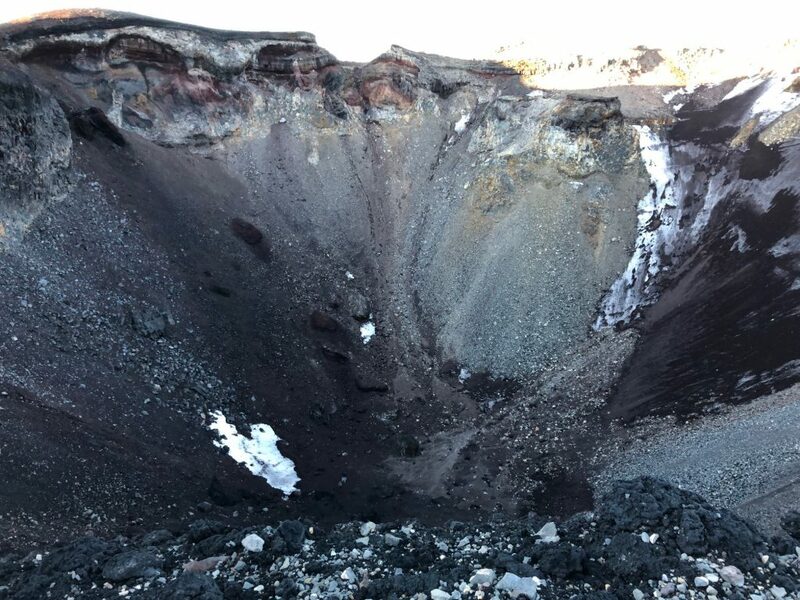 When I saw a crater yesterday, it looked very stable. But we cannot be too optimistic. It has already taken more than 300 years since the last eruption. 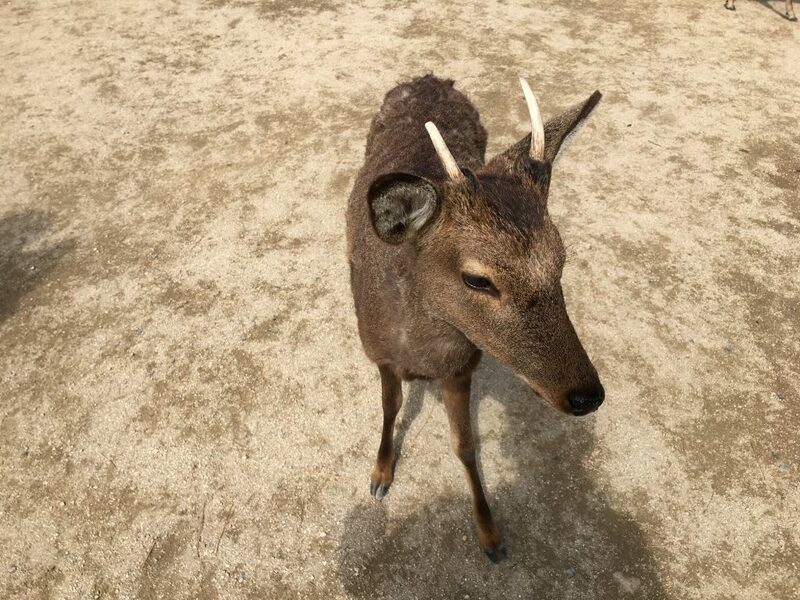 When you run down Gotenba trail, please think about the dynamism of nature. In Japan American chain coffee shops such as Starbucks and Tully’s Coffee are very popular as well. But there is one interesting coffee shop chain which import all coffee beans as fair trade. At the end of April in Tokyo it is too hot like early summer. 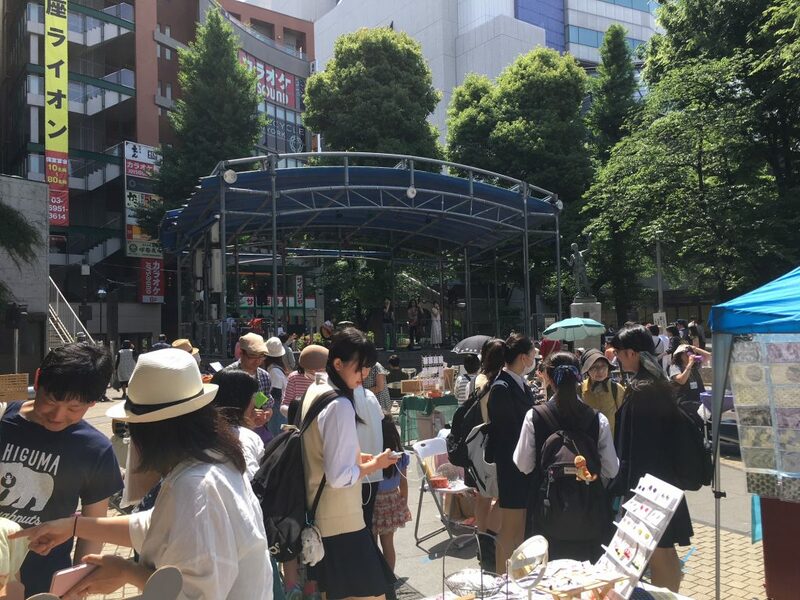 In Ikebukuro, an area in north west of Tokyo popular among young people, many people enjoy sunshine in the park. Such hot climate makes us thirsty. 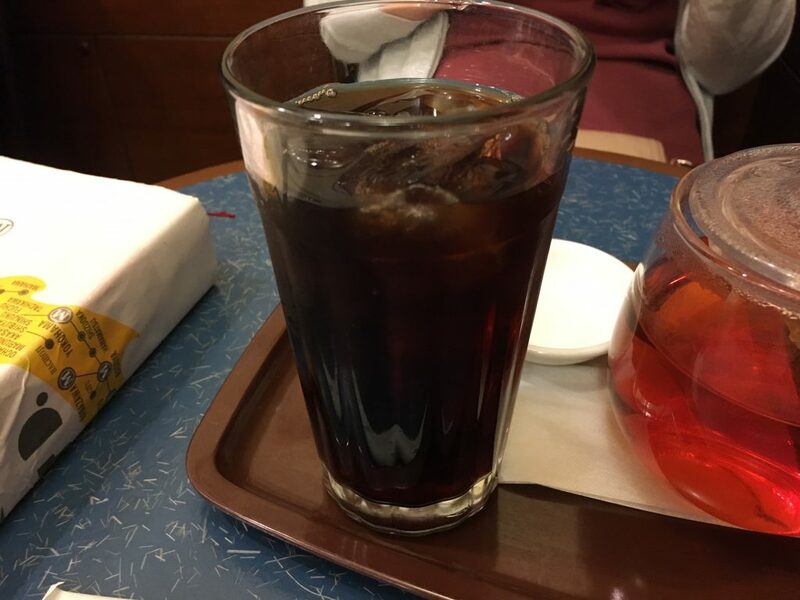 But taste of coffee at regular coffee shops is not satisfactory. Don’t worry. 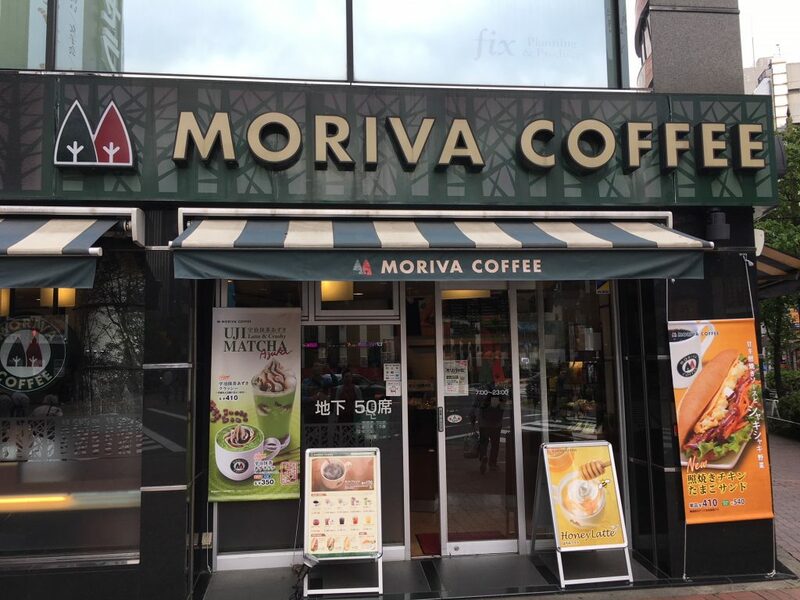 At east end of Ikebukuro there is a peculiar coffee shop named Moriva coffee. This coffee shop imports all the coffee beans from developing countries such as Rwanda, Mexico and East Timor. 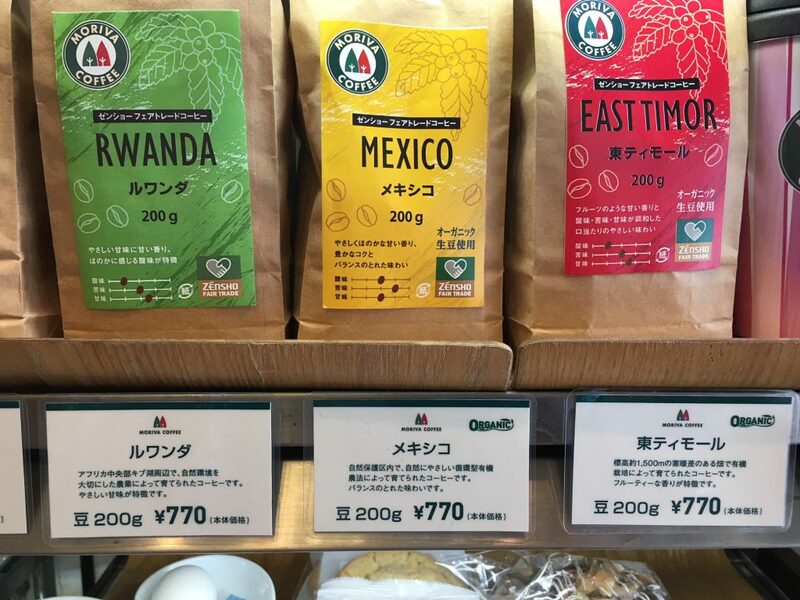 Furthermore they import the beans from these countries as fair trade by co-working with local NGOs. Among these countries which are poor and troublesome in different ways, East Timor is the country not so known by Japanese, although it’s located in Asia. But the coffee shop serves iced coffee made by beans from East Timor. And it gives us a good opportunity to learn about the country. East Timor is the new country located east to Indonesia which became independent in 2002. Coffee industry was their main industry for export. But due to confusion after independence the coffee industry seriously declined. Zensho, a Japanese company which run the coffee shop started importing from East Timor in 2007 when the country was still unstable. They bought the beans as fair trade and used the fund created from the trade to support local bean producers and develop local infrastructure for coffee industry. 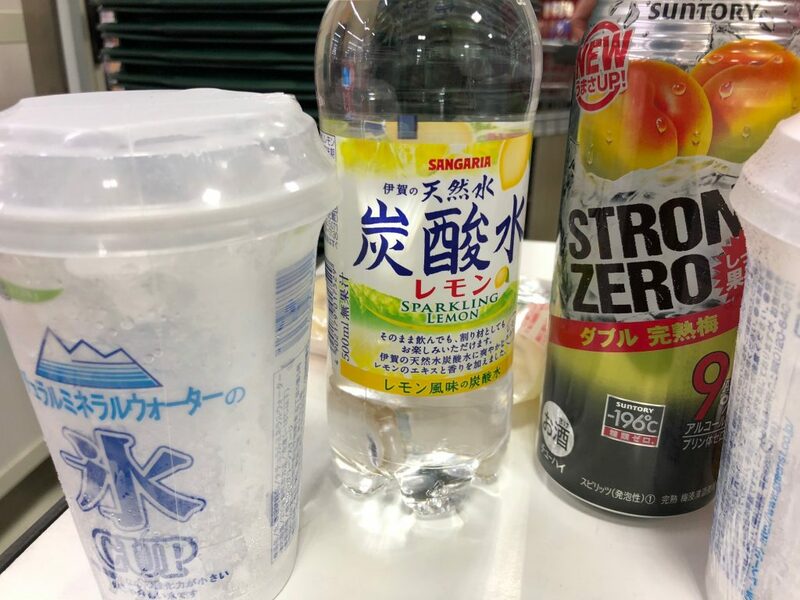 The fact that Zensho run the coffee shop of fair trade impressed me much because this company is more known by me (and most of the Japanese) as the company run the chain restaurant of beaf rice bowl (Gyu-don in Japanese) named Suki-ya. 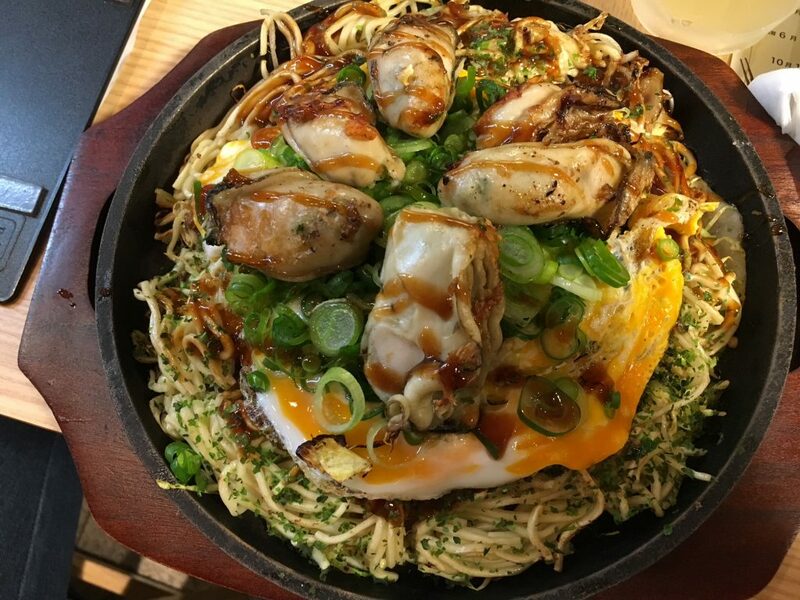 But even as the Gyu-don restaurant Zensho is known as unique and various menus of Gyu-don. 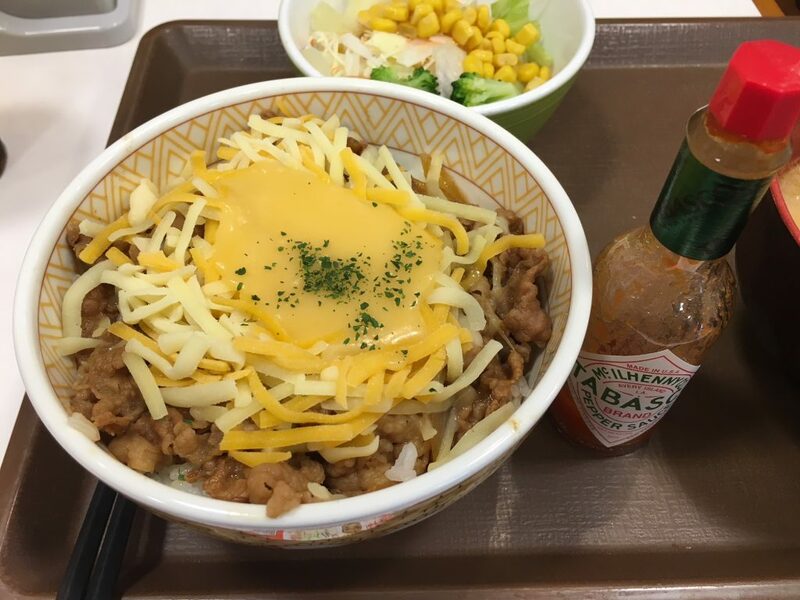 For example the photo below is their Gyu-don with cheese, which would attract Americans! I’m proud of Zensho’s creativity and their vision to create better world through their food business. 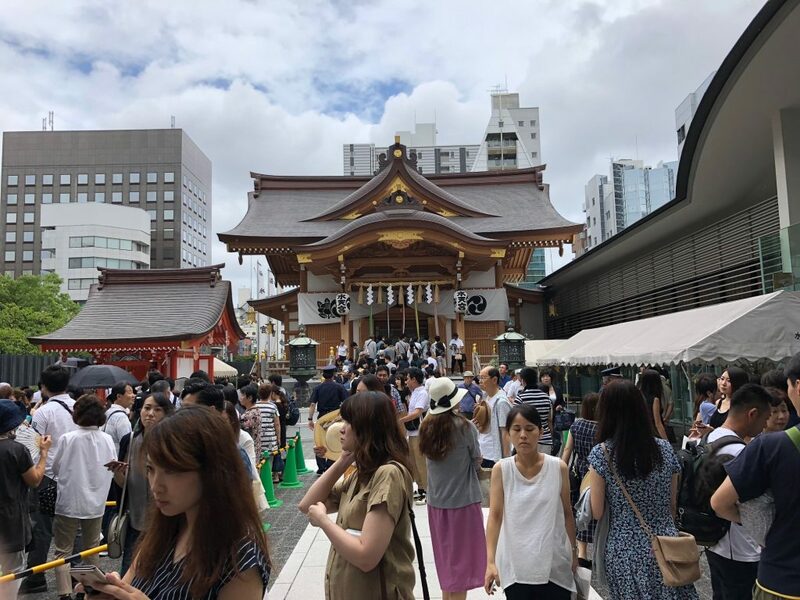 In Tokyo Senso-ji temple in Asakusa is famous among foreign visitors as a temple popular for ordinary people. But Asakura is not only a place for such temples. 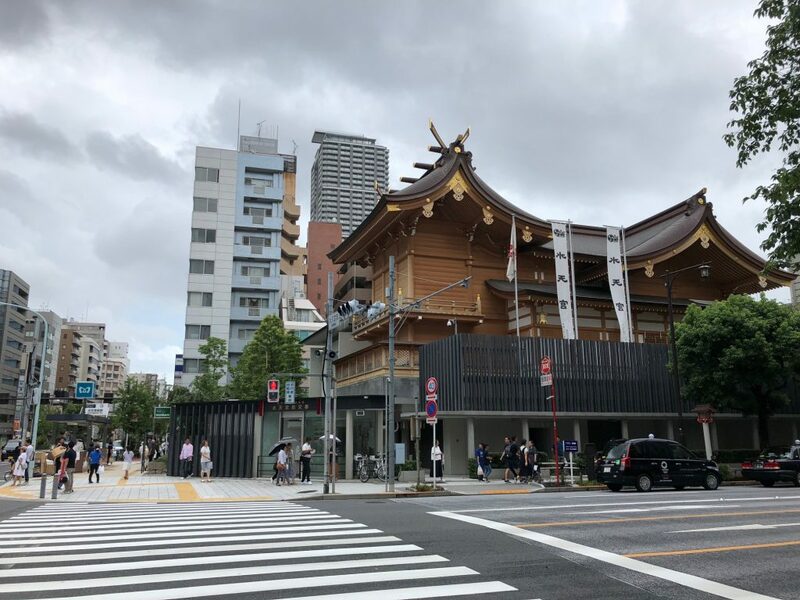 Nishi Arai located in the north part of Tokyo has another popular temple for ordinary people named Nishi Arai Taishi. 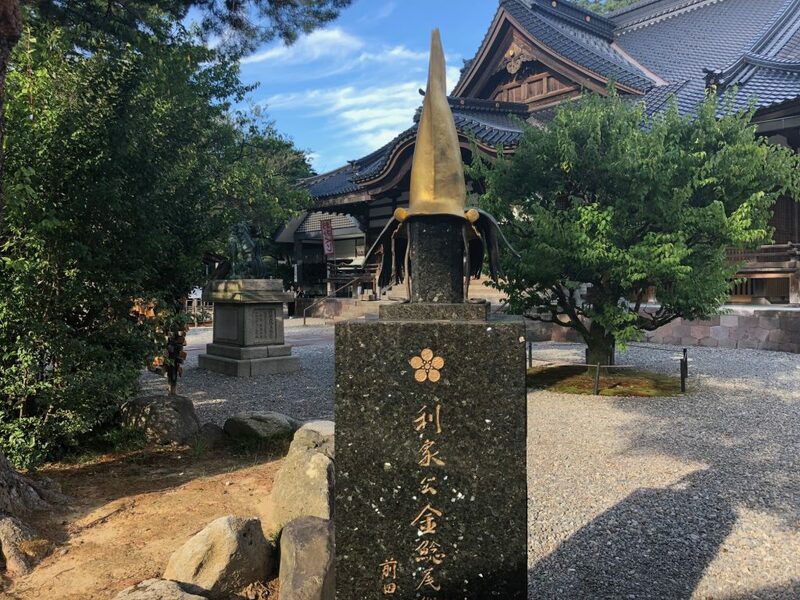 Nishi Arai Taishi is the temple established by a famous monk in the 9th century, Kukai. 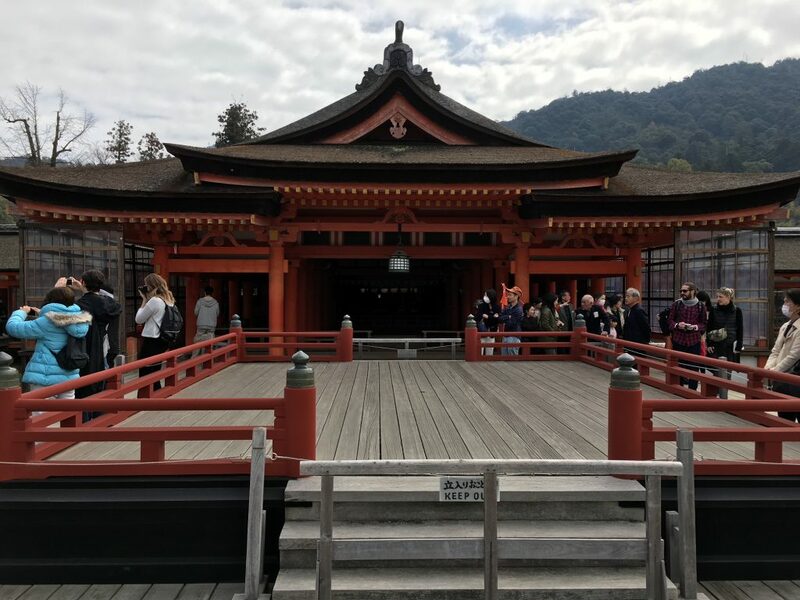 When Kukai visited this place, he saved local people who suffered from diseases thanks to a miracle by a Buddist saint. 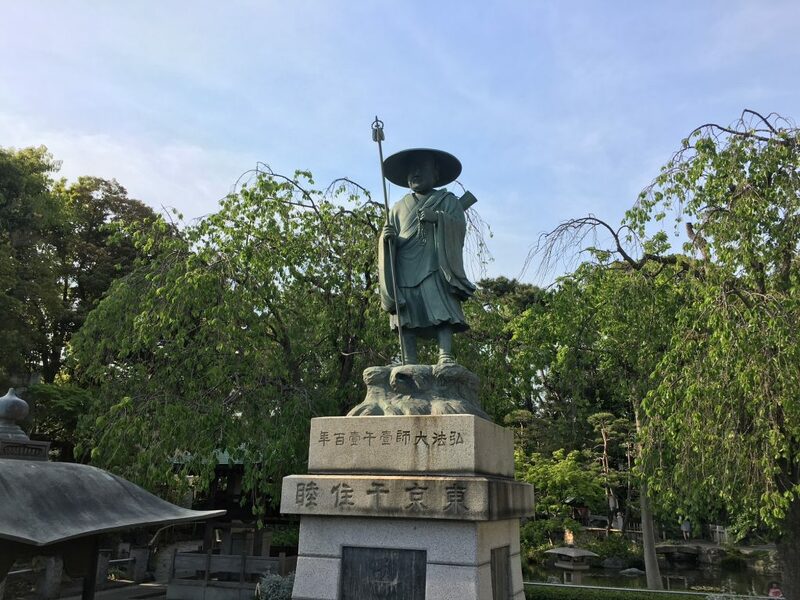 In April and May Nishi Arai Taishi hold a flower festival. And the temple is surrounded by a lot of beautiful flowers. 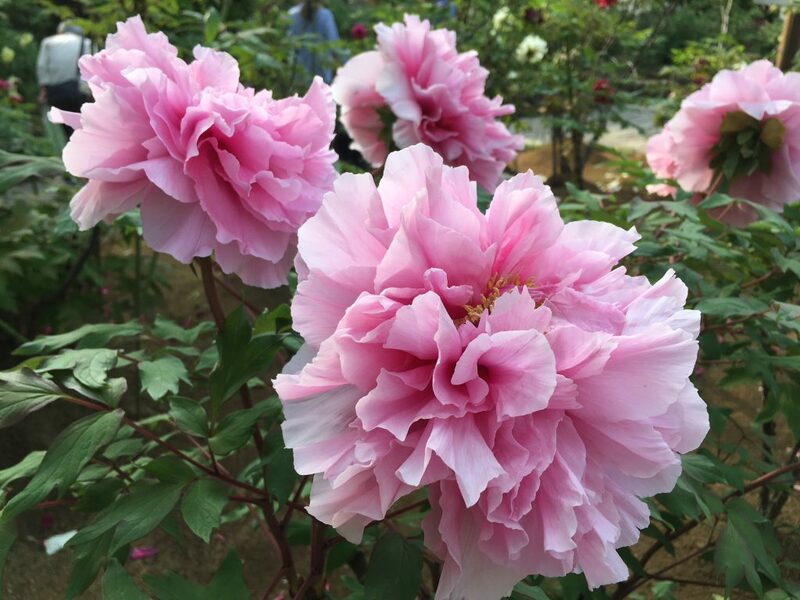 Among these flowers the temple is famous to have a lot of kinds of peony, Botan in Japanese. 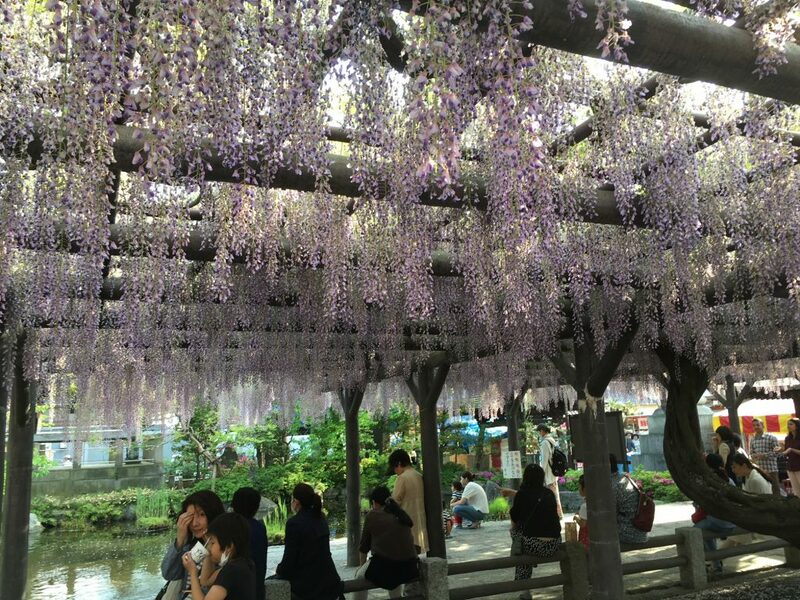 In the temple not only peony but also wisteria trellises are in bloom in late April(Fuji in Japanese). But for many ordinary people rather than flowers in bloom sweets might be more attractive. 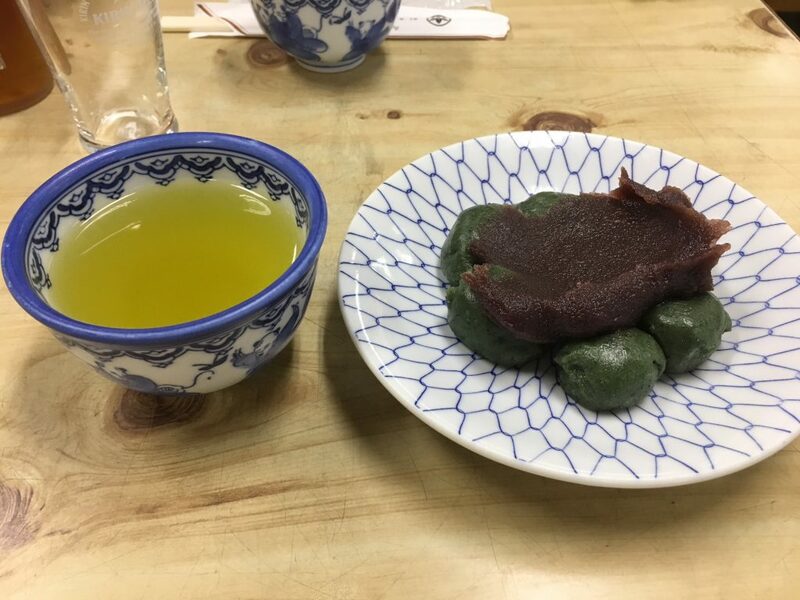 (In Japan there is a proverb saying Hana Yori Dango meaning (people) like sweet dumpling more than flower. Don’t worry. In front of temple there are several shops of sweet dumpling and green tea. 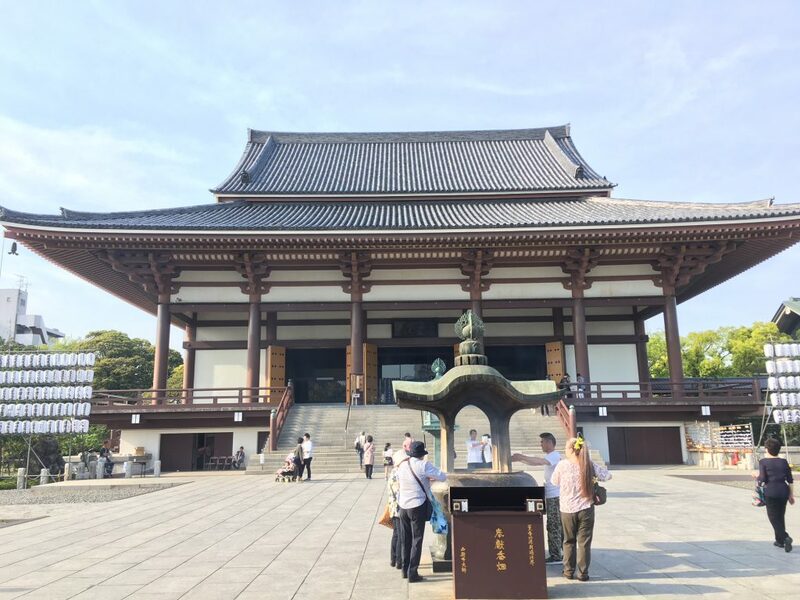 When you come to Tokyo, why don’t you visit many temples to see how the temples are liked by local people. 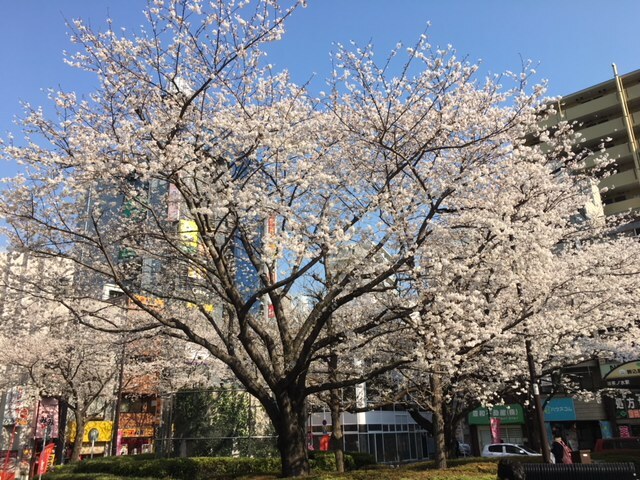 Now at the end of March, the season of Sakura (cherry blossom) in full boom has come in Tokyo. While there are many famous spots for Sakura in Tokyo, Komagome, an area in Northern Tokyo is a little known great spot for Sakura in Tokyo. 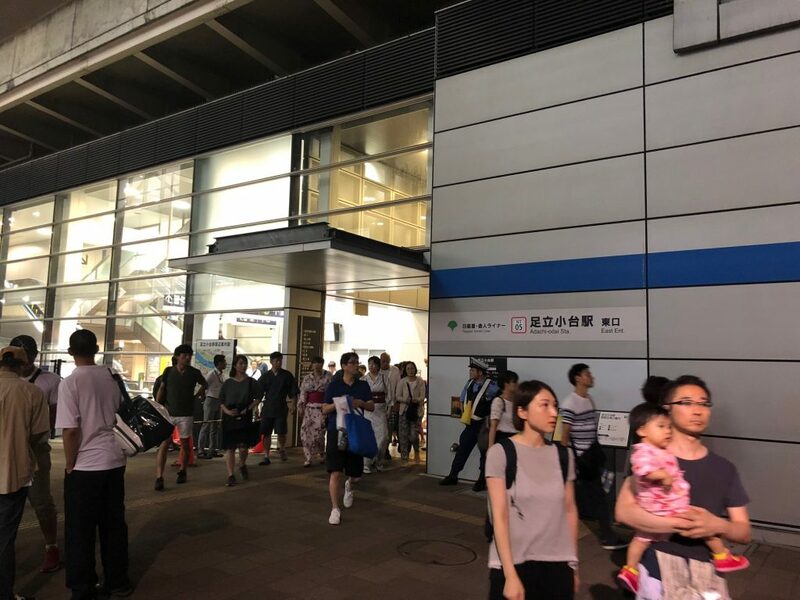 When you come to Komagome station, trees of Sakura welcome us. 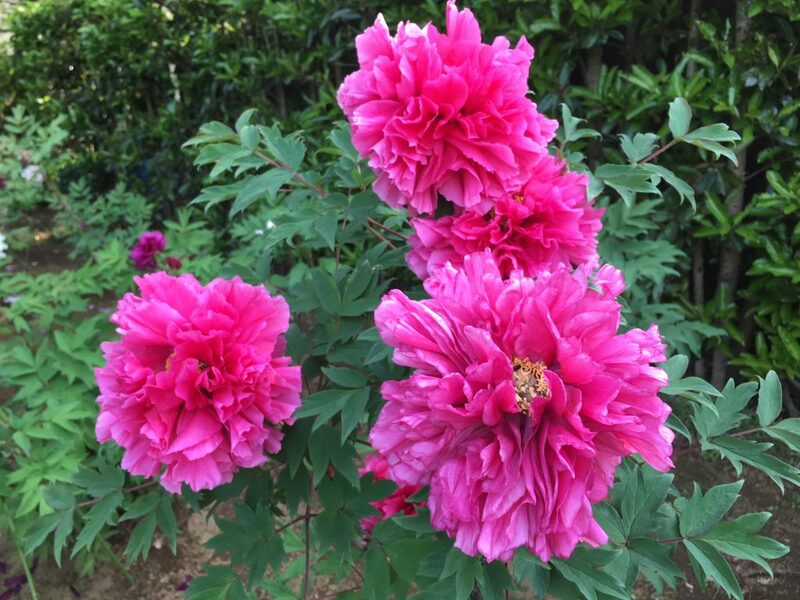 This Sakura is a species called “Somei-Yoshino”, which derives from a gardener who had started selling a pot plant of Sakura in Komagome in the 19th century. Still in the 21st century in Komagome there are many trees of Sakura. 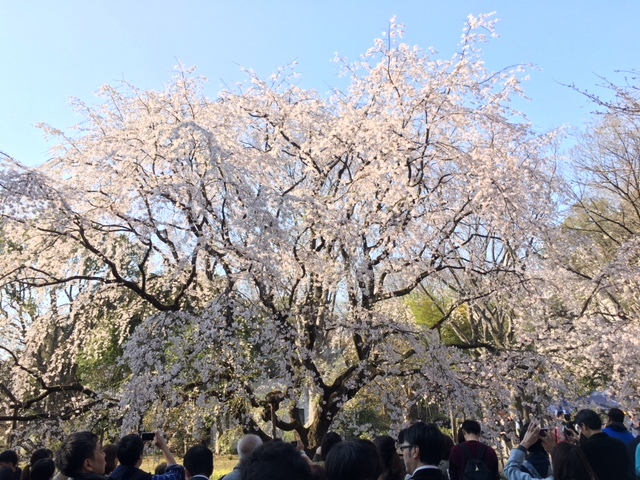 Meanwhile the most famous Sakura in Komagome is another species called “Sidare-Zakura” which derives its shape of branches hangings from a trunk. And a park in Komagome, Rikugi-En is famous for a big tree of “Sidare-Zakura”. 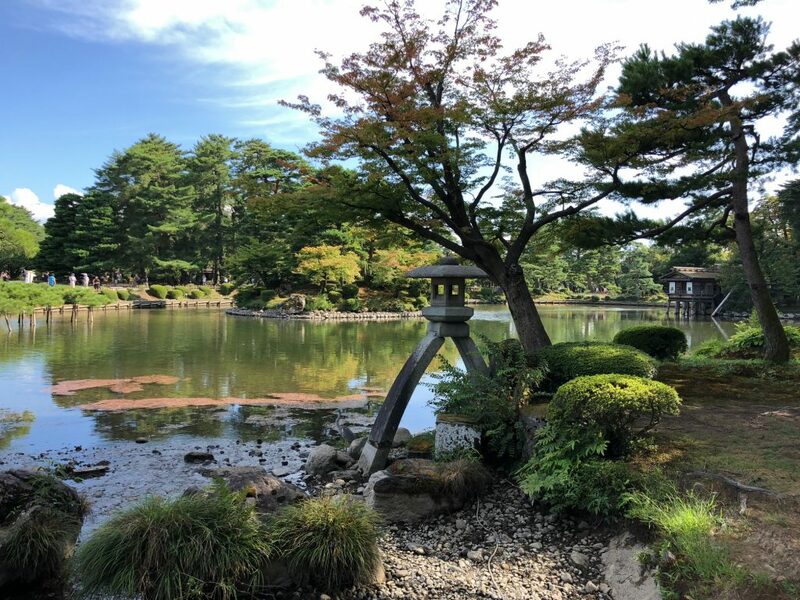 Rikugi-En is a traditional Japanese park made by Mr. Yoshiyasu Yanagisawa, a sakurai in the 17th century in Japan. 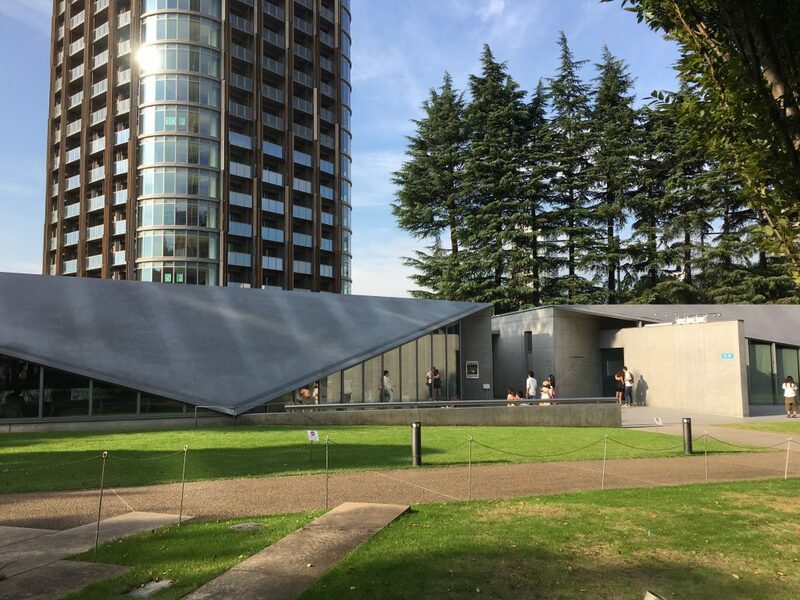 Mr. Yoshiyasu Yanagisawa tried to reproduce 88 beautiful scenery in Japan within this small park. But in Japan in the season of Sakura cherry blossom is not an only amusement. In Japan there is an old proverb saying “Hana Yori Dango”, which means (I like) sweet dumpling more than cherry blossom. Even in the 21st century we like to enjoy eating sweet dumpling in front of Sakura. 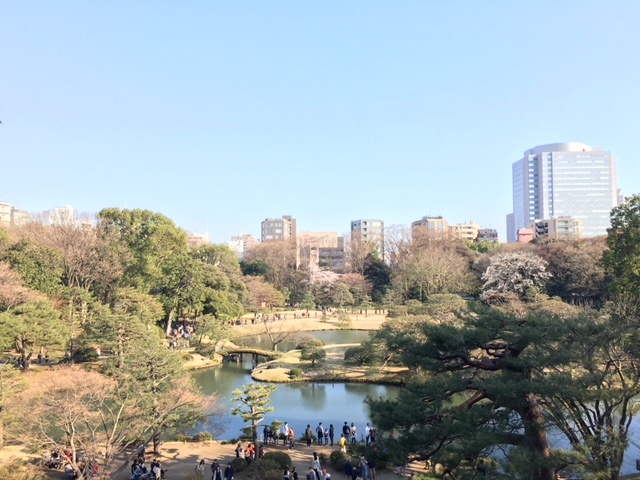 In the season of Sakura in bloom there are many places with beautiful Sakura but too crowded. But Rikugi-En is one of a few places where you can enjoy Sakura in quiet atmosphere. Izu is a peninsula in central Japan which is famous for various attractive sightseeing locations such as Atami and Ito. 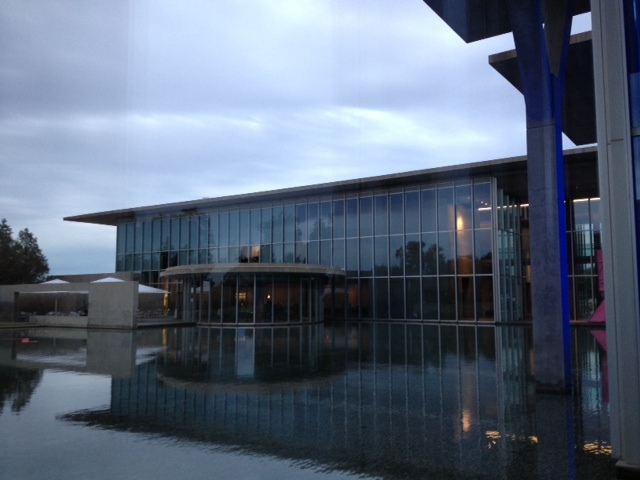 But compared to places along with the ocean, places in central Izu are less famous. 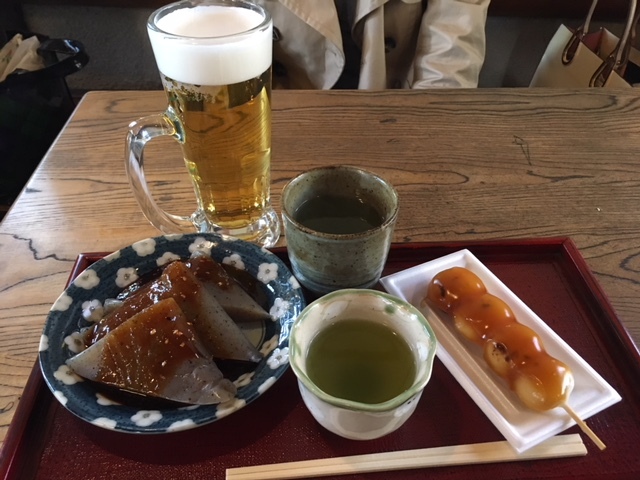 Mr. Yasunari Kawabata is a Japanese novelist who received Nobel Prize in Literature in 1968 wrote a short novel about a road in central Izu, “the Dancer of Izu” based on his own experience there. 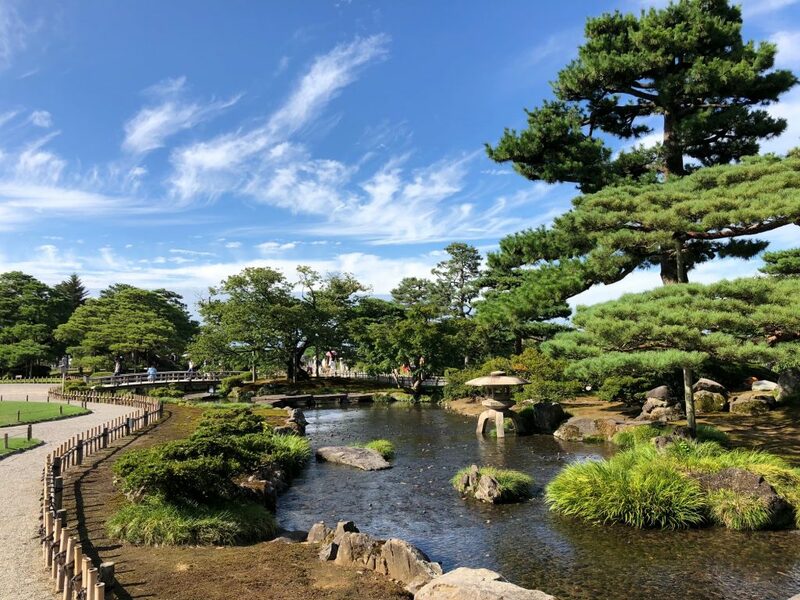 Yasunari Kawabata, when he was a 19 year old student, made a short trip to central Izu and met a young female dancer (Odoriko in Japanese) and her family. 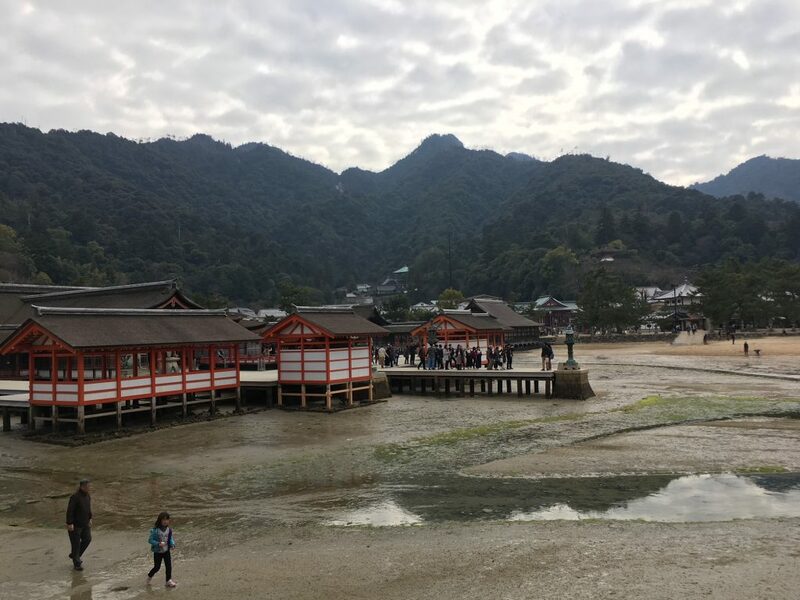 They spent some days together along Amagi road visiting several places with hot springs and the young man’s feeling changes little by little. 9 year later his experience made him create a world famous novel. 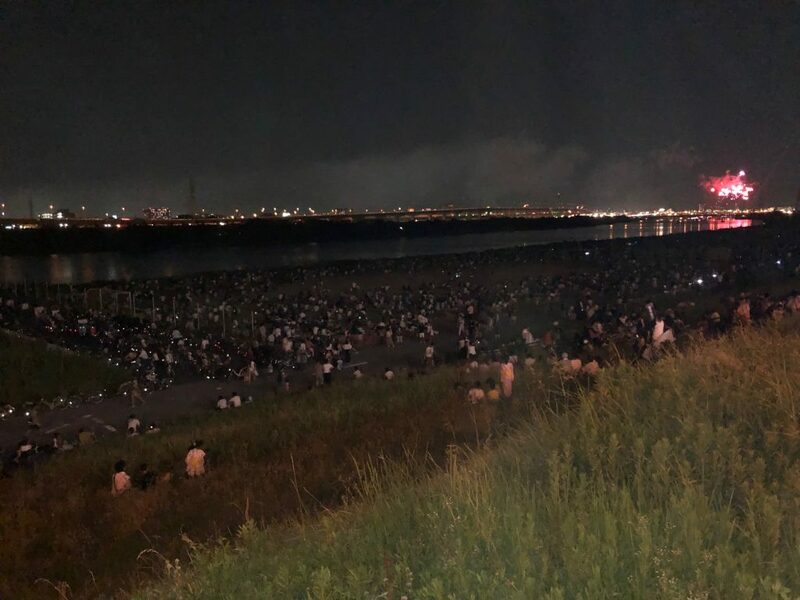 This is the story liked by Japanese in almost 100 years. And the hot springs in Amagi road still preserve their atmosphere in those days. 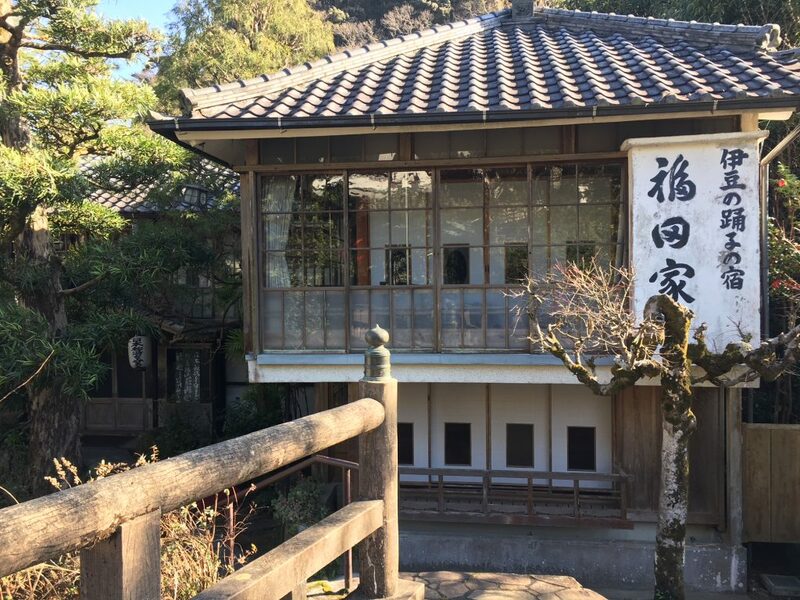 For example Fukuda-ya is a hotel with hot spring in Yugano opened in 130 year ago. 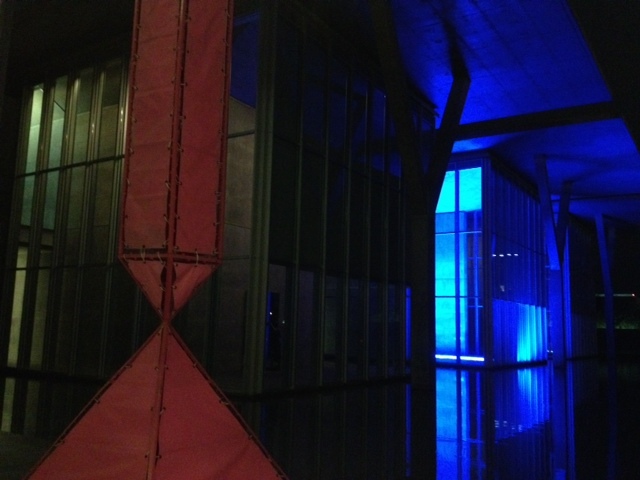 Yasunari Kawabata and characters in the novel stayed in the hotel several nights. Now in 2018 the hotel’s wooden bath is almost same as the bath at that time. It was not only Yasunari Kawabata who made Amagi road famous. 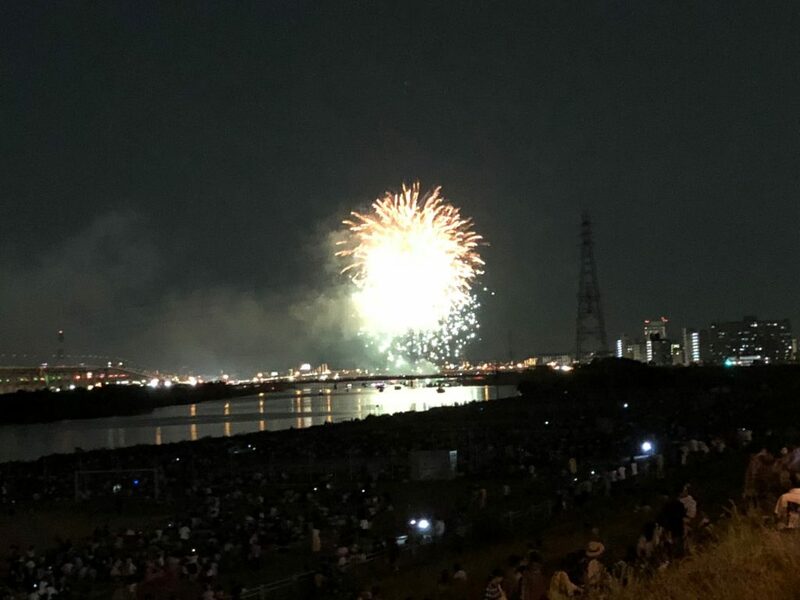 70 year later from the time of Kawabata, a song of Enka, Japanese traditional style ballad, “Amagi-Goe” made Amagi road famous again. It was a love song sung by Sayuri Ishikawa, a famous Enka singer, referring many places in Amagi road. 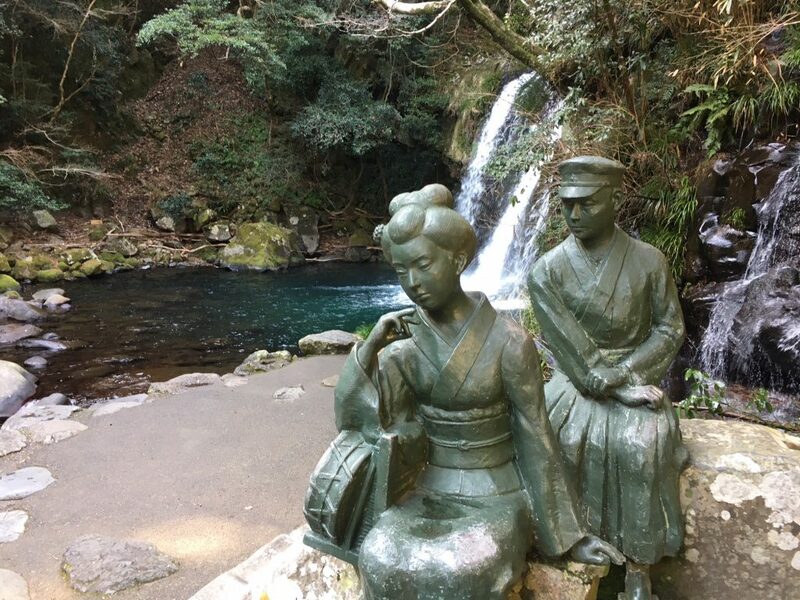 Among those places on the song, a waterfall, Joren fall, is the fall familiar to most of generations of Japanese in present times thanks to this ballad song. So if you want to know lyrical atmosphere of Izu, why don’t you make a further step from seaside hotels to inland hotels with hot spring? You might be afraid that you cannot enjoy fresh seafood as specialty of seaside Izu. Don’t worry! The hotel in central Izu also serves fresh sushi. Can you find out what’s this? 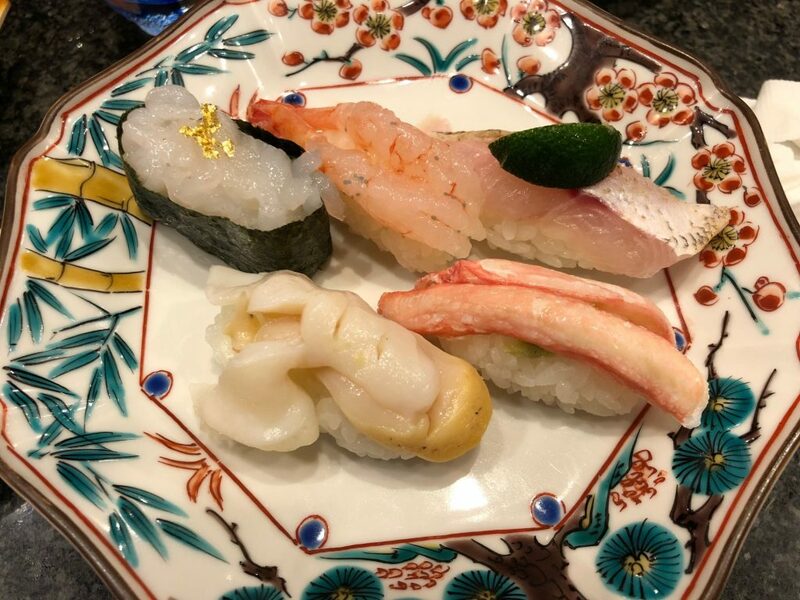 This is a sushi without fish. 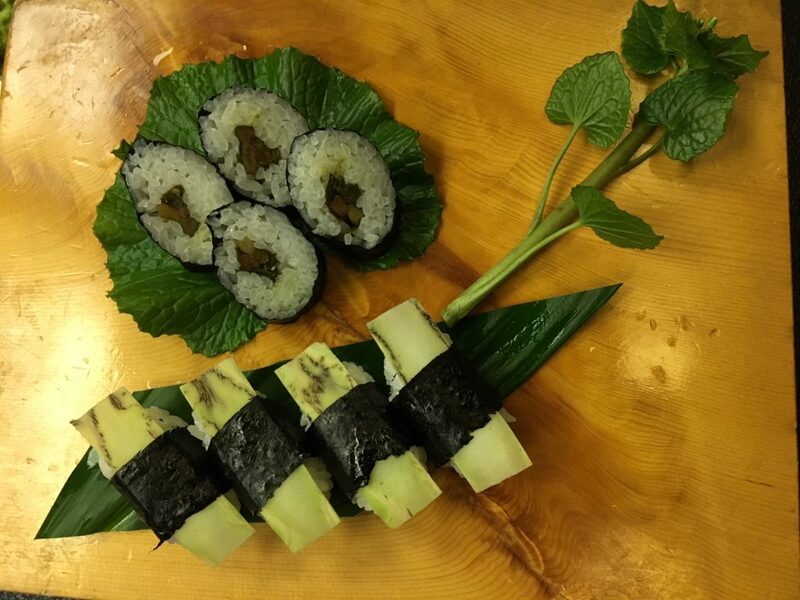 It is a sushi of Wasabi, specialty of central Izu! It was served in the hotel with hot spring in Yugashima in central Izu. Central Izu still stimulates imagination of local people.